This event is free and open to the public. Tickets are not required. RSVP on Facebook to receive updates. Daniel José Older is the New York Times bestselling author of the young adult series The Shadowshaper Cypher, the Bone Street Rumba urban fantasy series, and the middle-grade historical fantasy Dactyl Hill Squad. Delilah S. Dawson is the award-winning, New York Times-bestselling author of Star Wars: PHASMA as well as multiple novels, comics, and short stories. She also writes as Lila Bowen. Jim Clark is a lecturer in the History Department at the University of Central Florida. He is the author of nine books, primarily about Florida history, and the editor of a three-volume anthology of Florida literature. Erica Dawson is the author of three books of poetry, including When Rap Spoke Straight to God, winner of the 2018 Florida Book Award Gold Medal for Poetry. She lives in Tampa. Alyssa Day is a New York Times bestselling author whom readers accuse of making them laugh so hard they "fall out of bed" or "almost pee themselves." She denies nothing. Joy Wallace Dickinson pursues the mysteries of the Sunshine State’s past and culture in the Orlando Sentinel’s “Florida Flashback” and beyond, including though books such as Orlando: City of Dreams. Steven dos Santos is author of The Torch Keeper novels, a Young Adult Post-Apocalyptic series. Book One, The Culling, was named an American Library Association 2014 Rainbow List Top Ten Selection. Jan Eldredge was born and raised in Louisiana, but now lives in Florida. She is particularly fascinated with monsters, magic, and all such eldritch things. S. E. Green is the award-winning, best-selling author of the Killer Instinct series dubbed “Dexter for teens”. She also has a very grouchy dog. New York Times best-selling author Patricia Gussin is a physician and the author of seven novels including Shadow of Death and After the Fall, Gold Medal winner of the Florida Book Award. Rick Kilby’s Finding the Fountain of Youth: Ponce de León and Florida’s Magical Waters was published by University Press of Florida in 2013 and received the bronze medal at the 2014 Florida Book Awards. Loreen Leedy is the author-illustrator of over 40 picture books for children with math, science, and language arts content including Measuring Penny, Step by Step, and Crazy Like a Fox: A Simile Story. Dr. Luis Martínez-Fernández teaches Caribbean history at the University of Central Florida. His books include Revolutionary Cuba: A History and Key to the New World: A History of Early Colonial Cuba, winner of a Florida Book Award Bronze Medal. Alyssa Maxwell is the author of the Gilded Newport Mystery and Lady and Lady’s Maid Mystery series. Alyssa is a member of the Mystery Writers of America and Romance Writers of America. Nina Moreno is a YA writer who graduated from the University of Florida. She writes about Latinas chasing their dreams, falling in love, and navigating life in the hyphen. Steph Post is the author of the novels Miraculum, Walk in the Fire, Lightwood, and A Tree Born Crooked. She has been nominated for a Pushcart Prize, a Rhysling Award and was a semi-finalist for The Big Moose Prize. Monica Sanz is the YA author of Seventh Born (The Witchling Academy #1) and its sequel, Mirror Bound, due out Fall 2019. Stacie Ramey is the author of The Sister Pact, a YALSA 2016 Popular Paperback and a 2015 PSLA Top 40. Her sophomore novel, The Homecoming was awarded a Florida Book Award. Robert Redd is a graduate of Stetson University with a BA in American Studies. He worked previously at the New Smyrna Museum of History and is now the Cultural Coordinator for Volusia County. WESH-2 Meteorologist Amy Sweezey is the author of 2 children's books about weather. She lives in Seminole County with her husband and 3 kids. Session 1 - 11:00 – 11:50 A.M. Session 2 - 12:00 – 12:50 P.M. Session 3 - 1:00 – 1:50 P.M. The shocking truth a... Leedy, Loreen. There's a frog... Leedy, Loreen. Step by step / writt... Leedy, Loreen. Mission, addition /... Leedy, Loreen. The great graph cont... Leedy, Loreen. The edible pyramid :... Leedy, Loreen. It's probably P... Leedy, Loreen. Crazy like a fox : a... Leedy, Loreen. Missing math : a num... Leedy, Loreen. Seeing symmetry / wr... Leedy, Loreen. All questions and inquires should be directed to events@ocls.info. Follow the conversation using #orlandobookfestival on Twitter, Facebook, and Instagram. Any person requiring special accommodations to participate in any class or program due to a disability may arrange for assistance by contacting us at least seven days prior to the event. 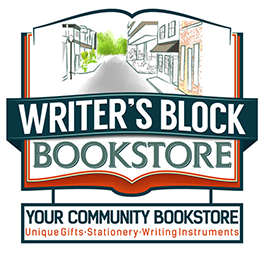 Writers Block Bookstore is the official bookseller of the Orlando Book Festival.